What is on PTI chief Imran Khan’s mind? Judging by his Twitter timeline, he seems to be thinking more about the Sharifs than his own party. 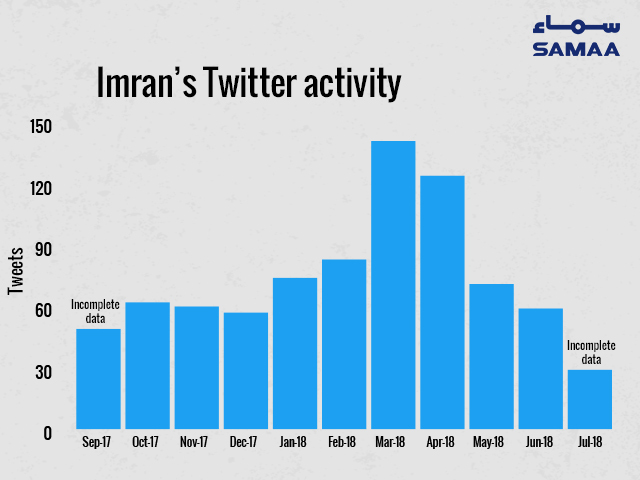 SAMAA Digital scraped and analysed Imran Khan’s tweets for the past 11 months. 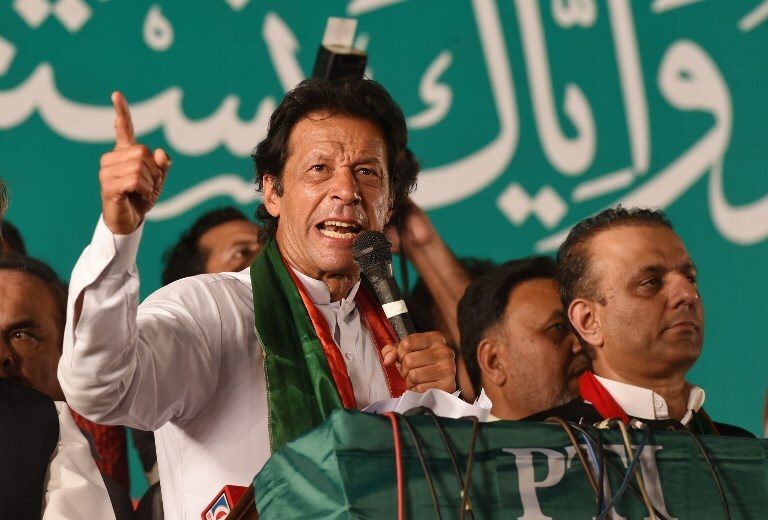 Between September 5, 2017 and July 8, 2018, Imran Khan tweeted 808 times. We see a relatively higher number of tweets in the months of March and April. We looked at the people, places, products and organizations that he mentioned during this nearly 11-month period. 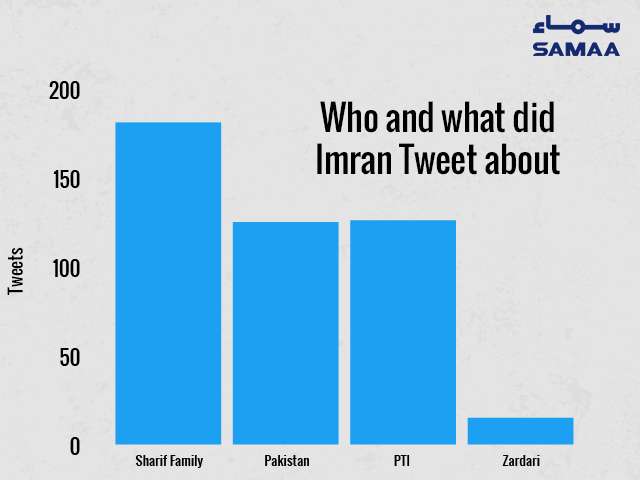 In 808 tweets, we estimated that Imran Khan tweeted about the Sharifs at least 181 times. These 181 tweets do not include the ones in which he mentioned the PML-N without directly mentioning the Sharif family. He tweeted about his party, the PTI, and its achievements at least 126 times. He tweeted about Pakistan almost the same number of times (125). However, ImranKhan mentioned Asif Ali Zardari in only 15 tweets. Twitter is playing an increasingly important role in Pakistani politics — as well as across the globe. Although a small fraction of Pakistanis is on the platform, it is popular among politicians who seek to influence the influencers. The average Pakistani who will go to vote on July 25 may not be on Twitter. However, the anchorpersons, talk-show hosts or celebrities, who they diligently follow on their TV screens, definitely are.